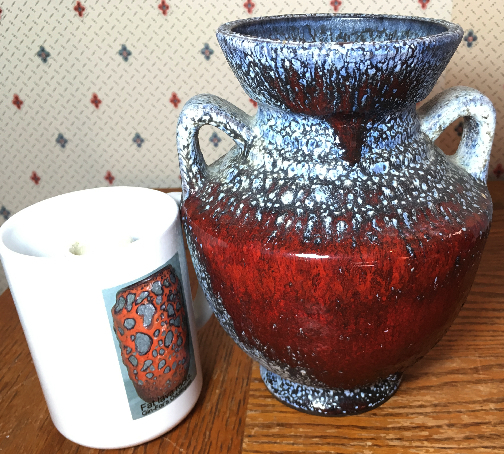 Bückeburg: The form on this Bückeburg vase makes me think a bit Art Deco, but the glaze is more modern and a visual treat. 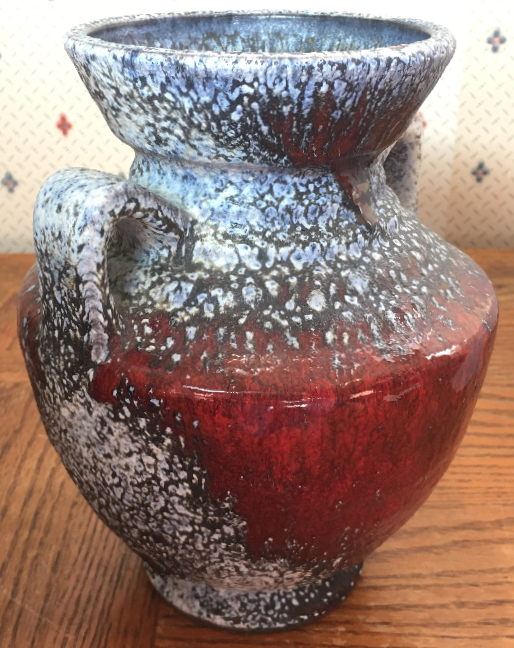 It features a textured blue and white over a deep red with thick drops at the bottom. It's powerful and at the very least uncommon, maybe rare. There's a blue inkstamp mark underneath, hard to read but definitely Bückeburg. 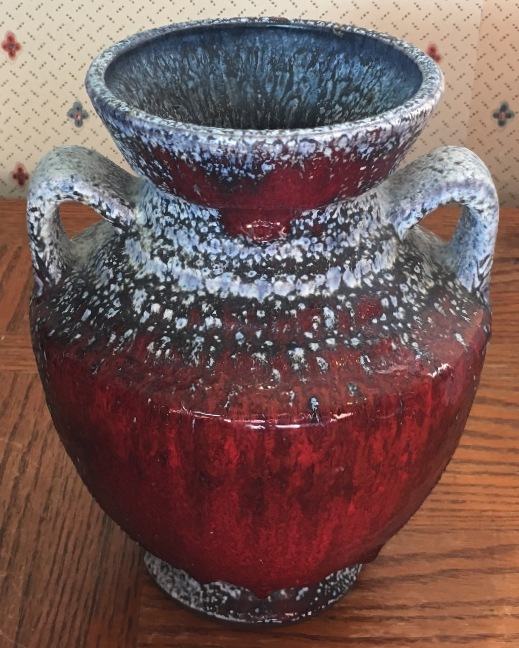 Size: Height is about 8". Price: $95 plus shipping and insurance. 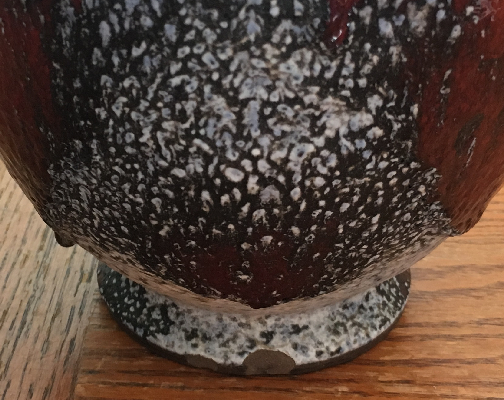 Condition: some chips around the base as seen in the pic, but this really is an uncommon or rare item.